SLS3: SLS3 to sponsor Angela Naeth. SLS3 to sponsor Angela Naeth. San Diego (Jan. 05, 2011) – SLS3 is pleased to announce its sponsorship of professional triathlete Angela Naeth. Naeth enters her 3rd year as a professional triathlete. Angela has had five 2nd place finishes this year at IM 70.3 races in the US. She is one of the fastest cyclist in the pro field. "I'm really pleased to be affiliated with SLS3," said Angela Naeth. "I had a chance to test the compression socks and triathlon shorts in Hawaii and I love it." " Angela really got our attention at the IM 70.3 races last year, especially with her fast bike splits," said Sebastian Linke, CEO of SLS3. Adding to our dynamic list of professional athletes, we are looking forward to big things in 2011. Naeth will start her 2011 season with SLS3 at the Abu Dhabi Triathlon in March. She joins SLS3 athletes Petr Vabrousek, Chris McDonald, Jessica Jacobs, Brian and Becky Lavelle. Angela Naeth began her athletic career as a track and field middle-distance runner at the age of 12. After high school, Angela received a full athletic scholarship to the University of Missouri and it was during her collegiate career when Angela discovered just how much cycling and swimming helped her body recover. She entered a few cycling races and started swimming recreationally. In 2008 Angela started training full time in California and Colorado. She quickly made a name for herself placing 1st at the Boulder Peak, 3rd 5430 Long Course, 3rd Muskoka 70.3, 7th at Wildflower, and 8th overall at the Worlds 70.3 that fall. In 2010 she finished 11 times on the podium with a very strong 7th place at the IM 70.3 World Championship in Clearwater. 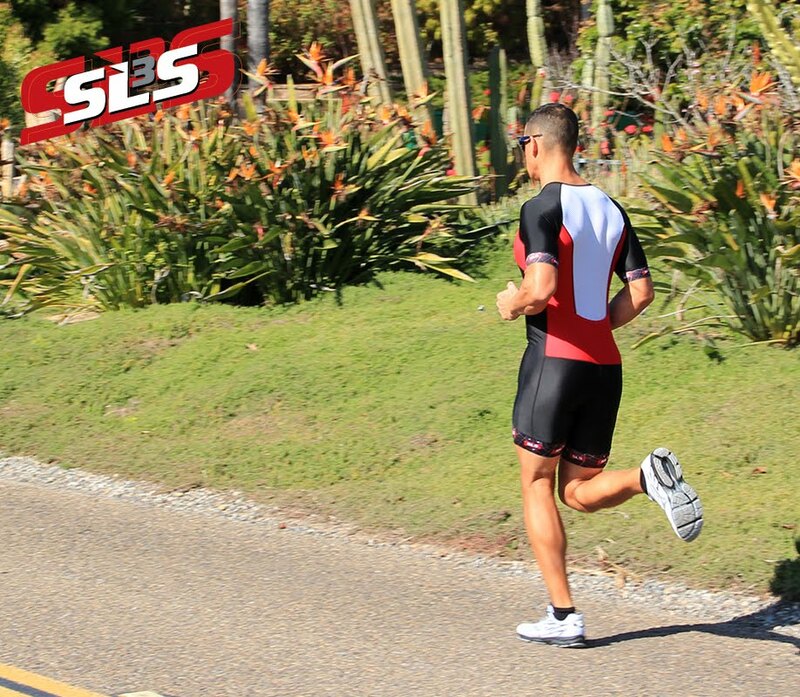 SLS3 manufactures sport compression and Triathlon race apparel in the USA. We design and market, high quality compression and triathlon race apparel that meet and exceed the needs of our customers. Our products will enhance performance with emphasis on technical design for comfort. Our goal is to produce the best possible products to serve our customers who are looking for comfort and performance. MADE IN U.S.A. is an important part of our apparel line as we have made a commitment to production of our apparel in America. We hire local staff and we purchase our materials from the highest quality vendors available to us.